What to do with Criticisms? Recently, I did an action that might be questionable to others and that might lead to be criticized by other Christians. But I don't want to argue about it since it was my personal decision and declaration and I believe that my relationship with Him is as strong as before or even stronger. 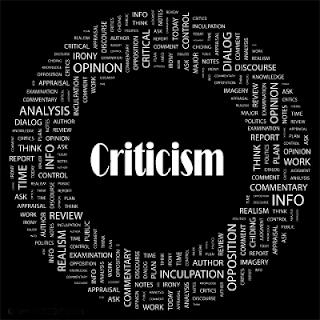 In Christian life, we can't escape criticisms from others; on why we are doing the things we do and what our real intentions are. These kinds of questionings might lead to conflict with others and we will be tested on how we will act and respond on it. How can we handle such situations and what are the godly ways to do it? How can we show that despite those damaging words and thoughts, we can still avoid great conflicts? The best examples and answers to these questions are visible in Paul's life. If you will read Philippians 1:12-18 (12 Now I want you to know, brothers and sisters, that what has happened to me has actually served to advance the gospel. 13 As a result, it has become clear throughout the whole palace guard and to everyone else that I am in chains for Christ. 14 And because of my chains, most of the brothers and sisters have become confident in the Lord and dare all the more to proclaim the gospel without fear. 15 It is true that some preach Christ out of envy and rivalry, but others out of goodwill. 16 The latter do so out of love, knowing that I am put here for the defense of the gospel. 17 The former preach Christ out of selfish ambition, not sincerely, supposing that they can stir up trouble for me while I am in chains. 18 But what does it matter? The important thing is that in every way, whether from false motives or true, Christ is preached. And because of this I rejoice. Yes, and I will continue to rejoice), you will see how Paul reacted on the criticisms of other members of church in Rome. Despite those conflicts and questions of intentions, he still showed positive attitude towards it because he was confident that he is doing what God wanted him to do: it was to share words and gospel. On his letters, you will not see any harsh words; instead, he spoke of encouragement and resolution to avoid conflicts. He also did not defend himself but the words and his love of God were exposed. It was so unbelievable that even he was in chains, he still rejoiced and celebrated the joys of being with Christ. In real life, there will be people who will bring us down and can lead to loss of focus. The best thing that we can do is to look upon Him and clear out our hearts and offer Him the greatest praise. Some criticisms can be hurtful and painful but in His arms, there will be rest and peace. Don't act negatively and don't ever think about of revenge and vengeance. The most important thing is that we know from ourselves that our intentions are clean and that no harm will be put in our relationship with Christ. But in some instances, we can accept suggestions from others and check ourselves if we might need some corrections with our actions. But these things should never ever lead to doubt and loss of faith. Ask God for help and stay intact with your beliefs and understanding. As the song goes, "and if our God is for us, then who can stand against?"